Looking for things to do? There’s always plenty to choose from, with events as varied as supporting a charity which recycles crayons for Hong Kong’s needy, to the Russian community’s annual gala to the annual St Paddy’s Day parade on Sunday! Fast becoming a hub for fans of time-honoured handcrafted arts with a modern twist, Yarn in the Works is hosting free regular knit nights on Thursdays in its Sheung Wan studio. If you are looking for craft-oriented things to do, drop in and share advice or get tips from other knitters as you work on your craft projects as part of a creative community. Australian artist Dale Frank is known for his work with unusual materials, using anything from varnish to glass to human hair. Pearl Lam Galleries is presenting a solo exhibition at the Pedder Building of 16 new works, all completed in 2016. His newest works demonstrate his commitment to pushing the boundaries with the use of unusual materials and the chemical and physical process of painting a canvas. The Crayon Society is a charity organisation dedicated to raise funds (and fun!) for sick children. It collects used crayons and remoulds them into new ones. Join Crayon Jamming Fridays to help peel and sort some old crayons, and be part of the crayon re-creation process in order to raise funds for disadvantaged children in Hong Kong. The Russian Club in Hong Kong’s annual ball brings together the city’s Russian and international business community for a gala evening to enjoy Russian culture – and make a difference to charity at the same time. With the theme “Russian Wonderland”, expect a night of elegance and glamour with about 200 guests at the ballroom of the Island Shangri-La Hotel. This year money will be raised for Russian charity, Maximum Help Foundation. Get cultural when looking for things to do. Massimo De Carlo Gallery presents Between Utopia and Dystopia, its first group show of the year. Curated by independent curator and critic Manuela Lietti, the exhibition brings together works by six Chinese contemporary artists that explore the notion of landscape. Featured artists have roots in Mainland China – Jia Aili, Liu Xinyi, Meng Huang, Qiu Shihua, Wang Sishun, and Wang Zhongjie. The gallery is closed Sundays. The work of one of Britain’s most celebrated living painters, Howard Hodgkin, is being presented by the Gagosian Gallery. The In The Pink exhibition will feature recent work by Hodgkin, who has a career spanning more than 50 years, in his first exhibition in Hong Kong. Completed between 2014 and 2016, the work will showcase his intimate oil on wood-panel paintings which convey the relationship between hand, eye, and memory that charges process, visual structure, and emotional temperature. Take the family out to enjoy the final Freespace Happening event for the season at the West Kowloon Cultural District. Held over two days, activities include music, literature, theatre, market stalls and creative workshops – plus two camping events that let you spend the night under the stars in the Nursery Park. Handmade Hong Kong’s Discovery Bay Sunday Market is a DIY Indie Arts, Crafts and Small Traders’ Fair. Hong Kong’s finest makers and sellers will be offering arts, crafts and other special goods with about 140 different vendors taking part, attracting about 2000 visitors. A day trip to DB on the ferry is one of the many fun things to go, with the markets located in the DB main plaza, just a short walk from the ferry pier. If you stay for dinner at one of Discovery Bay’s D’Deck restaurants you will get a free ferry ride back to Central. The history of Hong Kong’s iconic trams are celebrated in the Ding Ding to Kowloon exhibition. The exhibition includes tram memorabilia, rare images from the Whitty Street Depot’s workshop where trams are made, oil paintings depicting activities at the depot as well as images from the tram chasers series Following Trams in 24 Hours. Science Alive offers more than 50 fun and exciting activities that are free for everyone. The science festival – jointly organised by the British Council (Hong Kong), the Hong Kong Science Museum, the Education Bureau and Hong Kong Education City Limited and sponsored by the Croucher Foundation – is sure to let everyone explore, discover, and find fun in science. Sessions are held in English with Cantonese interpretation. The Hong Kong International Young Readers Festival (YRF) aims to encourage children to discover the joy of reading and the world of books by facilitating interactions between authors and young readers through workshops and meet-the-author sessions. A diverse range of local and international children’s book writers and illustrators will take part. The festival’s public events will take place on 11-12 March. The Hong Kong and Macau Irish Festival is now in its second year and is a collaborative effort led by the Consulate General of Ireland and the Emerald Fund with the support of the Irish groups in Hong Kong and Macau. In the lead-up to Ireland’s national holiday on 17 March, the month is dedicated to promote Irish culture, community and commerce and will showcase Irish animation, craft, music, dance, art, sport, literature and Irish hospitality. Highlights include a festival of crafts and animation from 3-11 March, traditional Irish dancing on 9 March and the Hong Kong St Patrick’s Day Parade on 12 March. A parade will also be held in Macau on 18 March. There’s plenty of things to do at the city’s major performing arts festival, the Hong Kong Arts Festival, which brings together leading local and international artists in all genres including opera, dance, theatre, multimedia and installation. “Festival PLUS” activities will include lectures, masterclasses, workshops, backstage visits, exhibitions and educational events. Highlights this weekend include the high-energy show, Will You Still Love Me Tomorrow?. Don’t miss the opportunity to view masterpieces by legendary Spanish artist Picasso being exhibited for the first time outside of Spain, with the Picasso and Jacqueline Exhibition at Hong Kong’s Times Square. The exhibition, which is being presented by Times Square together with the Museu Picasso in Barcelona, will show 13 pieces of artwork that Picasso dedicated to his last wife, Jacqueline. The Picasso and Jacqueline Exhibition will be held in the Living Room Museum of Times Square. CHARBON will present the first solo photography exhibition in Hong Kong of multi award-winning visual artist Emmanuel Monzon. Graduated from the prestigious Académie des Beaux-Arts in Paris with honours, Monzon is an emerging photographer whose photography work has been gaining attention throughout the United States, Europe and Asia. Harbour City is collaborating with Creative Kids to exhibit children’s artwork in different forms in three of the family-friendly restaurants in the mall, providing a platform for children to explore their talents and creativity. Participating restaurants are Dan Ryan’s Chicago Grill, Green Common and Jamie’s Italian. The three restaurants will hold one-hour kids workshops on Sundays, starting with Green Common, this Sunday, 12 March from noon. Jamie’s Italian will host a workshop from 11am on 19 March and Dan Ryan’s at 11am on 26 March. Register by emailing harbourcitykids@gmail.com. Other Harbour City restaurants have joined in the fun by creating special art-themed menus, which they are offering until March 28. 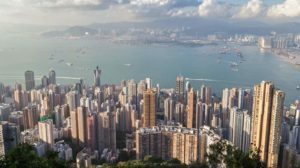 Want more ideas of things to do in Hong Kong?